So begins the luminous memoir of Frank McCourt, born in Depression-era Brooklyn to recent Irish immigrants and raised in the slums of Limerick, Ireland. Frank's mother, Angela, has no money to feed the children since Frank's father, Malachy, rarely works, and when he does he drinks his wages. Yet Malachy-- exasperating, irresponsible and beguiling-- does nurture in Frank an appetite for the one thing he can provide: a story. Frank lives for his father's tales of Cuchulain, who saved Ireland, and of the Angel on the Seventh Step, who brings his mother babies. Perhaps it is story that accounts for Frank's survival. Wearing rags for diapers, begging a pig's head for Christmas dinner and gathering coal from the roadside to light a fire, Frank endures poverty, near-starvation and the casual cruelty of relatives and neighbors--yet lives to tell his tale with eloquence, exuberance and remarkable forgiveness. 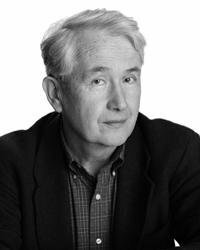 Michiko Kakutani The New York Times The reader of this stunning memoir can only hope that Mr. McCourt will set down the story of his subsequent adventures in America in another book. Angela's Ashes is so good it deserves a sequel. Malcom Jones, Jr. Newsweek It is only the best storyteller who can so beguile his readers that he leaves them wanting more when he's done. With Angela's Ashes, McCourt proves himself one of the very best.